Old Empty Photo Frame For The Inside, Retro Camera, Photo Film.. Stock Photo, Picture And Royalty Free Image. Image 58883777. 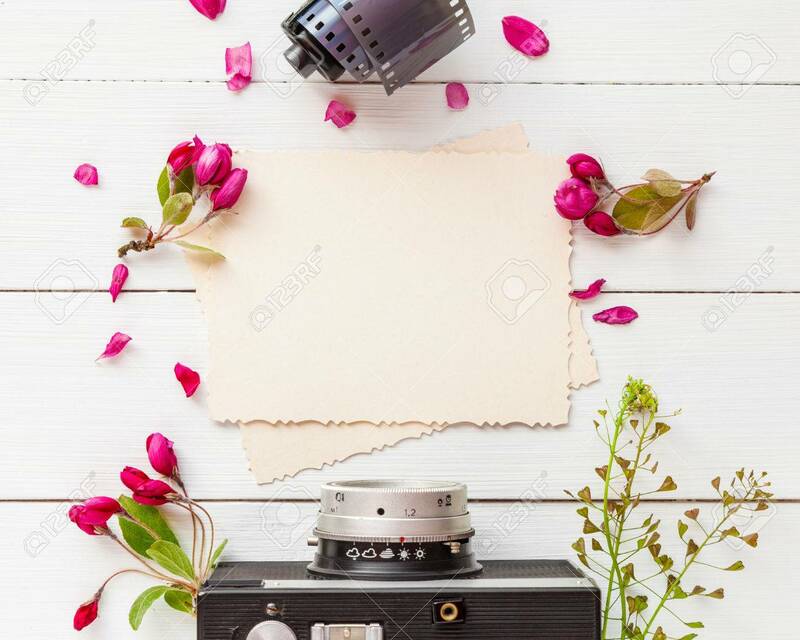 Stock Photo - Old empty photo frame for the inside, retro camera, photo film rolls and apple flowers on white background. Flat lay, top view. Old empty photo frame for the inside, retro camera, photo film rolls and apple flowers on white background. Flat lay, top view.